Work interfered with my availability during the first half but let's talk Dolphins football for the second half of the game at Arizona! The Miami Dolphins made a handful of roster moves Tuesday, including one that is sure to cause a portion of the fan base to overreact. Wide receiver Chris Hogan, who gained national notoriety on Hard Knocks after being dubbed "7-Eleven" by Reggie Bush because because he was "always open," was released from the Dolphins' practice squad. Hogan was waived by the Dolphins during final cuts on Aug. 31 and was re-signed to the practice squad to begin the season. The Dolphins, who already had an open spot on the practice squad with Saturday's promotion of linebacker Jonathan Freeny, signed wide receiver Brian Tyms and defensive tackle Chas Alecxih to the practice squad. Alecxih spent training camp with the Dolphins in 2012 after going undrafted out of Pittsburgh, while Tyms was signed by the San Francisco 49ers out of Florida A&M this summer. The Dolphins also waived linebacker Sammy Brown from the active roster just 10 days after claiming him off waivers from the St. Louis Rams. Brown was inactive for the Dolphins' regular season opener against Houston on Sunday. Originally a walk-on at Pitt in 2007, Alecxih earned a full scholarship in 2009 while working as a reserve defensive tackle. He went on to start 13 games as a junior in 2010, recording 57 tackles (nine for a loss) and 7.5 sacks. As a senior, Alecxih again totaled 57 tackles while adding a team-high 15.5 tackles for a loss and 6.5 sacks. The 6-foot-3, 304-pound Alecxih signed with the Dolphins as an undrafted free agent in May, working as reserve defensive tackle and wearing No. 66. He totaled two tackles during the team's first two preseason games but did not see action in the third and was waived on Aug. 25 during the first wave of cuts. Alecxih's release was documented in the fourth episode of HBO's Hard Knocks, during which general manager Jeff Ireland told Alecxih the practice squad remained a possibility. A Fort Lauderdale native, Tyms was physically abused by both parents and spent much of his youth in group homes. He played just one season of high school football at Dillard and initially attended a community college without a football program. Tyms was turned away after attempting to walk on at Florida State and later transferred to Florida A&M, where he caught seven passes for 123 yards and a touchdown as a junior. As a senior in 2011, Tyms ranked third on the team with 38 receptions, 538 yards and three scores. A physical specimen at 6-foot-3 and 210 pounds with 4.4 speed, the very raw Tyms went undrafted in the 2012 NFL Draft last April and signed with the San Francisco 49ers where he was able to study under future Hall of Famer Randy Moss. He caught three passes for 32 yards in three preseason contests before being waived during the first round of cuts on Aug. 27. Tyms' initial contact with the Dolphins' organization came on Aug. 31, when he worked out for the team along with fellow receivers Mike Sims-Walker and Donte' Stallworth. Hopefully he Hard Knocks hype has calmed down a bit over the last month, because there's no reason to freak out about Hogan's departure. The mere fact that he cleared waivers after final cuts and was able to be added to the practice squad shows that his perceived talent isn't quite what the show led many to believe. Tyms is an equally intriguing prospect if not more so and will get his turn to show the Dolphins what he can do. He's a great story and it'd be nice to see him develop a pro career, but he's still very raw and is a long way from an active roster spot. Meanwhile, it's nice to see Alecxih get an extended look because he was such a likable character on Hard Knocks, although being cut in the first wave and not getting on the practice squad until now doesn't bode well for his future. I like the guy a lot, but I question if he's got the bulk and strength to handle the NFL game. It's a bit surprising to see Brown cut after only a week, but really the only avenue they had for taking a look at him was to claim him off waivers and they apparently saw all they needed. It's not good that Brown, who was a dominant pass rusher in college, wasn't able to beat out Freeny for a reserve strong-side linebacker and special teams spot. For those keeping score at home, the Dolphins subtracted one from the active roster but didn't fill the spot Tuesday. Combine that with the fact the team shuffled its practice squad but kept it full today and it seems quite possible Brown's roster spot will go to a veteran, such as a wide receiver, offensive lineman or cornerback. The Dolphins likely waited until this week to sign a veteran because having one on the Week 1 roster guarantees their salary for the entire season. Now, any veteran the team signs will be on a week-to-week basis with the clubs in terms of pay. The regular season is here and once again I'm chatting live for analysis and discussion during the Miami Dolphins' regular season opener at Houston. See the chat below to join in! With Hard Knocks, we got to see a behind the scenes look of the Miami Dolphins as they prepare for their 2012 season under rookie head coach Joe Philbin and with rookie quarterback Ryan Tannehill at the helm. That being said, we didn't need any NFL Films' cameras to see the Dolphins' roster has issues right now and that could translate into a fairly ugly campaign in 2012. 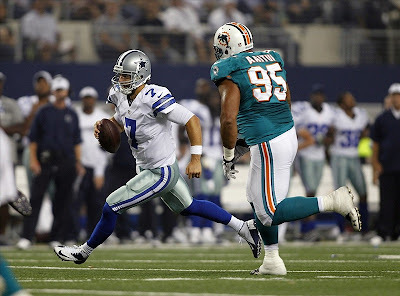 Of course, while a lot of the players remain from the Dolphins' disastrous 0-7 start to the 2011 season, there are also still many pieces in place that helped the team finish 6-3. So which team will we see this season, if either? Scary as it is, the Dolphins' season and future rests on the shoulders of a rookie quarterback in Ryan Tannehill that played receiver his first two years of college. That being said, I like Tannehill and I've grown more comfortable with him starting as a rookie based on his preseason play and obvious grasp of Mike Sherman's offense from their time at Texas A&M. 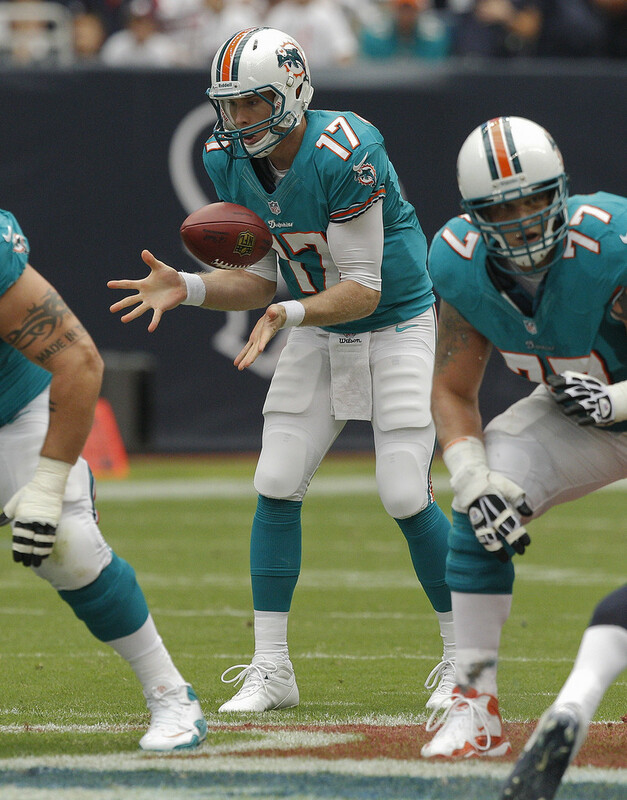 The issue for Tannehill is weapons, and to say he's lacking many is an understatement. The Dolphins spent the entire camp and preseason working Legedu Naanee as a starter, despite his underwhelming five-year career and ugly preseason in which he was either invisible or dropping passes. Unless the team signs a clear-cut starter after Week 1 such a Jabar Gaffney, Naanee is probably here to stay in 2012 and is likely to be a weak option for Tannehill. Davone Bess and Anthony Fasano are the obvious safety blankets for the rookie quarterback. The slot receiver and tight end will be the guys open short and over the middle, allowing Tannehill to perhaps gain some yardage when there's nothing else there. 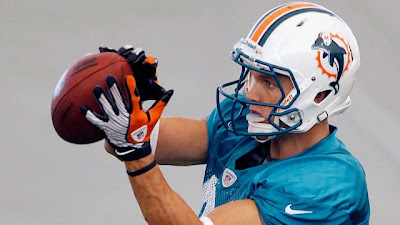 Meanwhile, Brian Hartline is returning from a calf injury and probably has the most upside of any receiver on the team, but his early impact in 2012 remains to be seen since hasn't had much time working with Tannehill. All this talk of the passing game (or what there will be of one) isn't complete without talking about the offensive line. You don't really worry about Jake Long even when he isn't 100%, although his injury history isn't promising when he's already suffered a sprained MCL in 2012. The line gets even less reliable as it goes right, with right guard John Jerry a wildly inconsistent starter and poor scheme fit and rookie second-rounder Jonathan Martin coming off a disastrous preseason. As for Tannehill's running game, I expect it to be better than expected. If Reggie Bush can continue to stay healthy, he could pick up where he left off in 2011 as the NFL's only 1,000-yard rusher to average five yards per carry. I also expect second-year man Daniel Thomas to mix in more than he did last year when he was hampered by injuries. The Dolphins will certainly need both guys to step up and get the ball moving on a regular basis so that Tannehill doesn't have to do it all himself. As we saw in the preseason, this defense can be maddening with its deficits and has only a few pieces that are totally effective and reliable. A few of those pieces are in the middle of the defensive line, where Randy Starks and Paul Soliai easily create one of the best duos in the game. Both had strong preseasons and should continue to do well clogging things up the middle. The starting defensive line has additional reliability with Jared Odrick at one end spot and Cameron Wake at the other. Odrick is a suitable starter there despite being an interior rusher and Wake looks poised to "rebound" after a misleading 8.5-sack season in 2011. The issue here is depth, where the Dolphins have no NFL experience and may once again be looking at a situation where Wake is the only guy that can get to the quarterback on a consistent basis. As good as Wake is, he can't do it all game and not having anyone else that can apply pressure makes things harder in the guys behind them. The Dolphins' linebacker unit should be solid with veterans Karlos Dansby and Kevin Burnett returning, as well as Koa Misi in a pure non-passing-rushing role. I don't know how many big plays you'll get from this bunch, but reliable tackling should be there and teams shouldn't run all over the Dolphins when you have these guys lining up behind Starks and Soliai. The secondary is where the real issue is, and it was already an issue before the Dolphins traded their most talented corner in Vontae Davis. The team believes Sean Smith is "putting it all together" but excelling in practice has never been his issue and it remains to be seen if he can translate that to the big stage. I also think the team overestimates the abilities of other starter Richard Marshall and anointed nickel back Nolan Carroll, who both had inconsistent preseasons and are not proven in their current roles. The Dolphins once again have Chris Clemons and Reshad Jones starting at safety, and this duo is inconsistent at best. Jones has the most upside of the two but neither have excelled in coverage to date and the deep ball is going to be a big concern in 2012 if the preseason is any indication. Combine a shaky secondary with no depth and one-man pass rush, and the Dolphins' defense may continue to be inconsistent like it was in 2011 despite a strong starting front seven. Special teams is the place where the Dolphins' roster really shines, although unfortunately that's not going to win Miami many games this season. Dan Carpenter and Brandon Fields should be extremely reliable as a placekicker/punter duo barring any totally unforeseen circumstances. If Shane Lechler didn't exist, Fields would easily be in the discussion as the best punter in the league. The one unknown and the most interesting thing in this unit is the return game, which should finally see Bess off punt returns and a new fact at kick returns with the emergence of Marcus Thigpen. The former CFL speedster had a strong preseason and earned a roster spot as a return specialist, providing a home run threat the Dolphins haven't had since the departure of Ted Ginn, Jr. 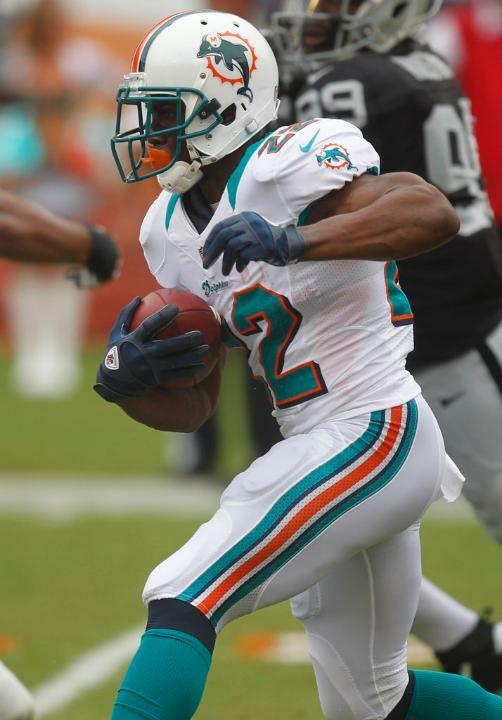 It will be interesting to see how Thigpen does with a full season to handle kicks for the Dolphins. Believe it or not, there are plenty of Dolphins fans that truly believe the team will beat the Texans today in what is the first of at least 8-10 wins for Miami this season. Those fans are likely to be sorely disappointed given that a rookie quarterback with sub-par weapons is in place with a shaky defense that isn't going to shut down many teams' aerial attacks. That's why fans of the Dolphins should temper their expectations for 2012 while simultaneously not jumping ship if the season does go badly. I'm expecting four or five wins from the team based on what I've seen and based on the glaring holes this roster has, but I'm also optimistic about the team long-term even if that happens. The Dolphins' future is potentially bright if Tannehill can develop into the great NFL starter the team expects, while a bevvy of draft picks and cap room in the coming offseason will allow the Dolphins to really revamp their roster and add weapons for their quarterback. I can't stress enough that fans shouldn't expect a .500 season in 2012, but I also can't stress enough that a losing season is not a reason to panic. All I want to see this year is promise from the Dolphins' younger players. 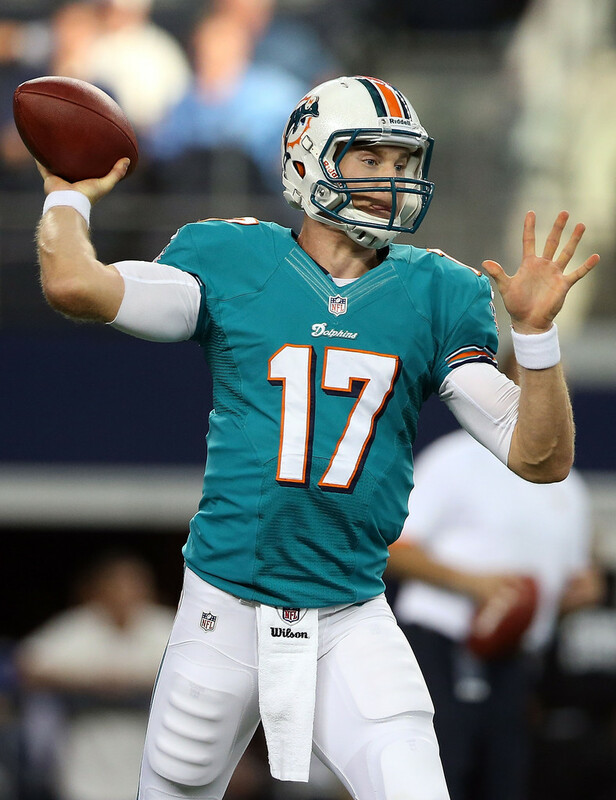 I want Tannehill to show he belongs. 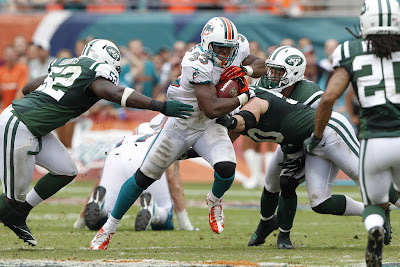 I want Daniel Thomas to step up and show he can handle the load if Bush leaves in free agency. 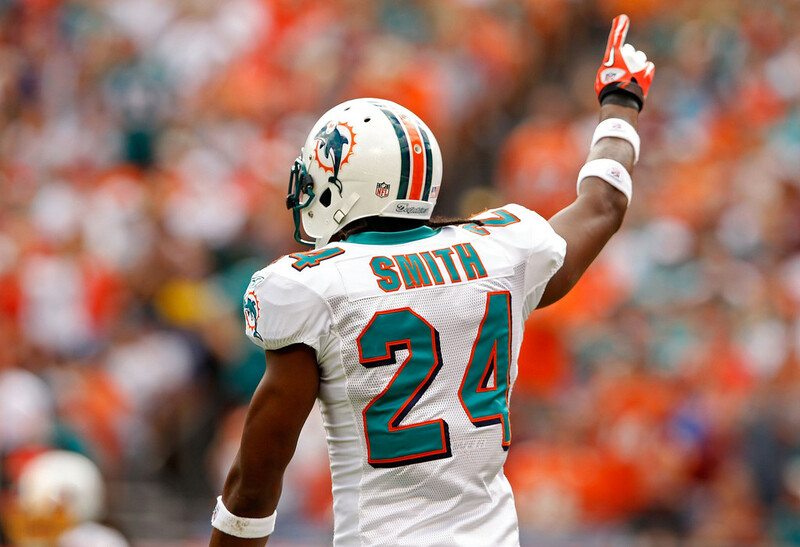 I want Brian Hartline and Sean Smith to show enough promise to earn new contracts. I want one or two guys to come out of nowhere and be productive pieces, as unlikely and random as that may be. Quite simply, a bad 2012 for the Dolphins doesn't mean a bad 2013 and beyond, especially if Tannehill shows promise with a poor supporting cast. It's not always going to be fun this year and it's certainly not always going to be pretty, but look at the big picture and you'll see that it's potentially a good one. Jonathan Freeny's initial practice squad stint of the season was short-lived, as the Miami Dolphins have promoted the second-year linebacker to the active roster a day before the team opens up at Houston. 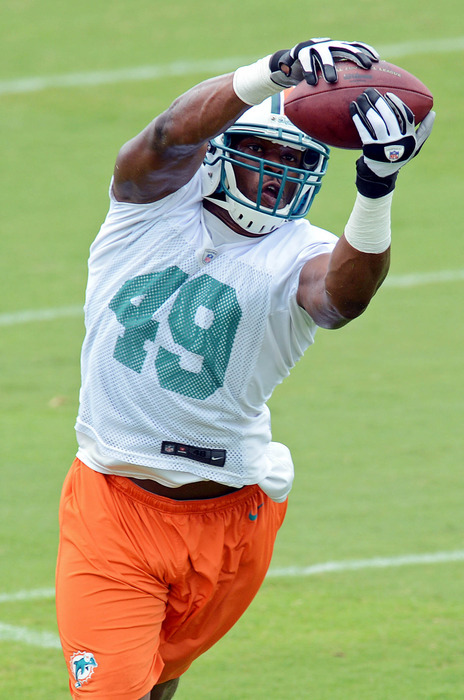 An undrafted free agent out of Rutgers in 2011, Freeny spent camp with the Dolphins as a rookie and was headed toward an arena football stint with the Chicago Rush before joining Miami's practice squad late last season. Freeny ranked third on the team with 12 tackles this preseason and initially survived final cuts, only to be waived the following day when undrafted rookie linebacker Sammy Brown was added off waivers from the St. Louis Rams. Now, Freeny returns to the 53-man roster in place of quarterback David Garrard, who saw his contract terminated on Wednesday when he failed to fully recover from a preseason knee injury. Despite being booted off the active roster by Brown's arrival, I suspect Freeny will have a better shot at being active tomorrow against the Texans over Brown. Freeny has a year more of experience around the NFL game and has the added benefit of working with the Dolphins in the preseason and for Darren Rizzi on special teams. Assuming he is active, Freeny will be wearing No. 59 for the Dolphins after donning No. 49 in practice since he first signed with the team. NFL rules state that during the regular season. linebackers may only wear numbers in the fifties or nineties. The 2012 NFL regular season officially kicks off tonight, and with that comes my annual predictions for the NFL standings, playoffs and individual awards. As always, I'm sure I'll be horribly off-base on much of this, but it's always a fun exercise. You can check out my my 2011 predictions here, 2010 predictions here and 2009 predictions here, which I'm sure include its share of embarrassing prognostications. The Patriots are the clear-cut favorites in the AFC East, with the Jets a mess, Buffalo still not ready and the Dolphins in total rebuilding mode. I'd be shocked if any of the other three teams even flirted with a wild card berth. I think Joe Flacco is ready to take the next step in his progression (and earn that next big contract), leading the Ravens to the division title. As always, Pittsburgh will be in the mix as well, while Andy Dalton and his relatively low ceiling may struggle to make a repeat playoff berth. The Browns bring up the rear and don't look anything like contenders. With Peyton Manning gone, the Texans are the only team in the AFC South with a proven quarterback. That should net them the division title, while the Titans and Colts battle it out for the No. 2 spot. I'm not sold on Blaine Gabbert and think the Jaguars will have a hard time being competitive this season. I'm not quite as on-board with the Chiefs as everyone else, although they do get my final wild card spot. The division title goes to Denver thanks to more reliable passing game and a defense that proved very capable down the stretch last year. The underachieving Chargers will continue to do so, while I don't think the Raiders' offensive line or defense has them ready to contend. The defending champion Giants get back into the playoffs as the No. 1 seed, but I think the Eagles and Cowboys fail to clinch a playoff spot thanks to some better competition from other divisions. The Redskins should be improved with Robert Griffin III, but this division is too tough for a rookie right now. There's so much to like about the Packers and having an elite quarterback goes a long way. The Lions should continue to be competitive due in large part to their young offensive talent, while the Bears may struggle to finish better than third. I'm not sold on Christian Ponder and I don't see him getting the Vikings about .500 this season. I think the Saints continue to roll despite not having their head coach for the season, while the Falcons should push for a playoff spot too thanks to an elite passing attack. Cam Newton and the Panthers will have a tough time finishing in the top two here, while the Buccaneers just aren't ready and need a huge step from Josh Freeman to be relatively competitive. The 49ers' defense and sound offense should get them to the playoffs in this fairly weak division. I don't like the Seahawks as much as others and I think the Rams can surpass them if Sam Bradford stays healthy and progresses. The Cardinals' quarterback situation is a mess and is a sure recipe for a last-place finish. QB Aaron Rodgers — Who else? The best quarterback in the NFL steps up with two touchdown passes and mistake-free football to win his second championship. QB Drew Brees, Saints — With Sean Payton gone for the entire season, Brees will put the team on his back and put up eye-popping numbers once again. It'll be even more impressive given all the Saints have gone through this year, earning Brees the MVP. QB Aaron Rodgers, Packers — I expect Rodgers to once again pose elite numbers, toying with 5,000 yards and at least 40 touchdowns with single-digit interceptions. 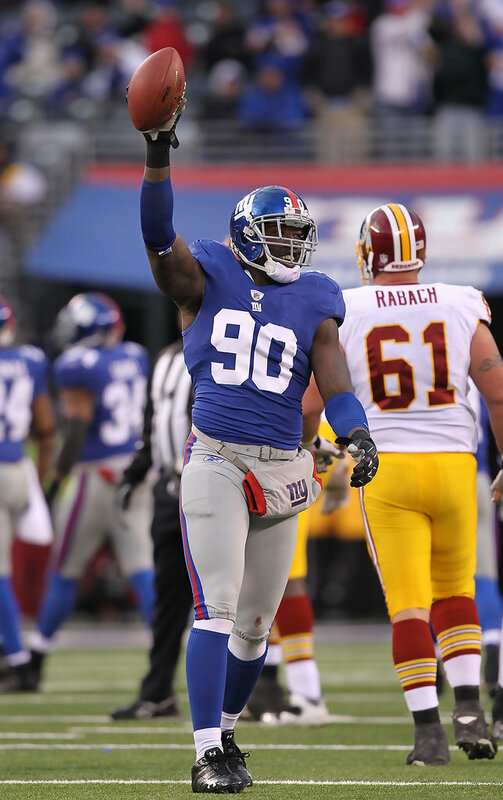 DE Jason Pierre-Paul, Giants — JPP is a total freak and is ready to take his game to a whole new level in his third season. 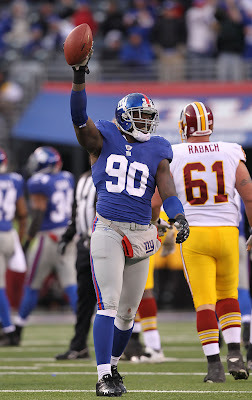 I expect him to surpass his 16.5 sacks and two forced fumbles from a season ago. QB Andrew Luck, Colts — Not a risky pick, but the most obvious one. Luck is NFL-ready and should post strong numbers as a rookie even if the Colts aren't ultra-competitive yet. LB Luke Kuechly, Panthers — A season after having the Offensive ROY, the Panthers earn the same award on defense with Kuechly. A smart, rangy linebacker, Kuechly should reach 100 tackles as a rookie and create enough big plays (sacks, forced fumbles, interceptions) to earn this award. Gary Kubiak, Texans — The Texans are ready to take the next step as my AFC Champion pick, and that would make Kubiak well-deserving of this award. Kubiak has built a strong offense with a stellar offensive line and running game combined with a very capable passing attack. Factor in a tremendous defense led by coordinator Wade Phillips, and Kubiak is the man here. The season finale of Hard Knocks: Training Camp with the Miami Dolphins aired last night and did not disappoint as it covered the final week of the preseason, including the game against Dallas as well as final cut downs and beyond. From the coverage of practices, we learned that it was defensive tackle Isaako Aaitui that rolled up on left tackle Jake Long and caused a sprained MCL. Obviously not Aaitui's fault though. We also learned that Chris Hogan hasn't translated his production in practices to the 1's and it was clear Sean Smith handled him with ease. Coaches said he needed to play more physical. Meanwhile, Marlon Moore was deemed easily the best special teams player of the receiving corps and that's obviously why he's still on the roster. I'm absolutely appalled that Ryan Tannehill and his wife shop at IKEA. They make way too much money for that cheap crap. I'm glad they finally hit on Jorvorskie Lane's interesting story. It's clear he has a ton of physical ability and combines fullback size with some running back skills. Of course, he's still not a true professional yet and Mike Sherman had to get onto him for being late to a meeting. Sherman is obviously Lane's biggest backer though and wants to see him succeed, but he knows he has to be tough on him sometimes. Some thoughts from the Dallas game: what an incredible display of power by Lane on that bulldozing; fantastic forced fumble by Marlon Moore on the kickoff and a great job of Dan Carpenter to recover; interesting that Sherman referred to Roberto Wallace as someone they needed to get out of the game because they knew he wasn't going to make it. Those of us on the outside knew he was on the bubble but we had know way of knowing his fate was already sealed. I wasn't a huge fan of bringing back Chad Johnson on the show, but I suppose it makes sense from a mass appeal standpoint and his story began as part of the Dolphins' season. If I were Chad's lawyer, though, I might be more careful about letting him essentially admit guilt on camera. Some of the cut observations: sixth-round wide receiver B. J. Cunningham was labeled inconsistent by Jeff Ireland; Jeff Fuller looked pretty crushed by the news but as we all know he's back on the practice squad; Ireland told Clyde Gates he expected him to develop as fast as anyone but that it didn't work out; coaches indicated route-running was a huge issue for Gates and questioned whether he'd ever be a "football player"; Ireland did however say that his biggest fear is someone else developing Gates; Hogan seemed bitter when he got cut, but that quickly changed to simply being excited for the opportunity to continue his work; the team clearly wanted Aaitui on the practice squad and I thought it was interesting he didn't even seem happy about going to the Jets because he wanted to continue working in Miami. As many people know, Aaitui has since been cut by the Jets with a torn ACL and torn MCL. It's a heartbreaking postscript to the story but hopefully he rehabs and comes back next season. I know I'd like it if it were with the Dolphins. Both defensive coordinator Kevin Coyle and defensive line coach Kacy Rodgers seemed really impressed by Aaitui and wanted him to stick around before cuts. Based on Ireland's discussion with defensive end Jarrell Root, who was waived/injured with a leg injury suffered in the Dallas game, the Dolphins intend to give Root an injury settlement at some point. He is currently on injured reserve after clearing waivers on Sept. 2. I found it interesting that Ireland and Joe Philbin discussed seeing if David Garrard could "change their minds" when he was working out for them for the first time. This indicates that the team was skeptical he would return and was planning to roll with Matt Moore as the veteran backup. As we all know, Garrard didn't end up changing their minds and was cut yesterday. We also got confirmation of what we already knew in that they kept four quarterbacks to give themselves more time to see if Garrard could get healthy and if either veteran would generate any trade value. As expected, most of the speculation about any other scenario turned out to be far from reality. The end montage with all the cursing and jokes was great...as ugggge. And with that, the Dolphins' run on Hard Knocks is over. I think HBO and NFL Films did a fantastic job with the series and I personally have no regrets about the Dolphins participating. It's obvious the cameras don't interrupt the work that'd being done and there is no distraction for the team, especially considering it's long over by the time the regular season rolls around. While there aren't necessarily benefits for a team being on Hard Knocks, I hardly think there are drawbacks either and as a fan, I personally was grateful for a look behind the scenes that I never would have had otherwise. The Miami Dolphins' already-thin offensive line got a little thinner, as the team placed guard Artis Hicks on season-ending injured reserve. Reports Tuesday indicate Hicks developed a neck injury after the preseason opener against Tampa Bay on Aug. 10. The veteran lineman was signed to a one-year deal in March after a 10-year career that included stints with the Eagles, Vikings, Redskins and Browns. A starter of 71 games in 118 career appearances, Hicks was projected to start for the Dolphins at right guard before his preseason injury. 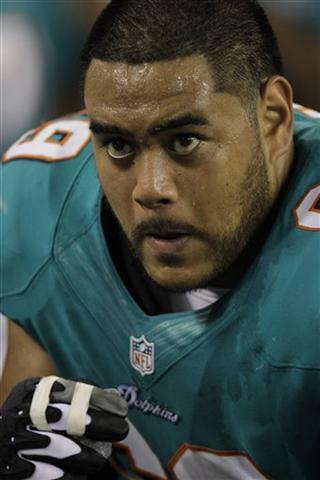 To replace Hicks on the roster, the Dolphins re-signed lineman Ray Feinga. The versatile Feinga, who is no longer eligible for the practice squad, was waived during final cuts on Aug. 31 and has been a free agent since. Despite taking Hicks' spot on the 53-man roster, Feinga will likely continue to work at left tackle with Jake Long recovering from a sprained MCL. Feinga has worked at guard in the past but spent the preseason at left tackle and started in Long's absence in the preseason finale against the Cowboys. Meanwhile at right guard, former third-rounder John Jerry projects as the starter with Nate Garner backing him up. Jerry has been on quite a ride this preseason, entering camp at over 360 pounds as a third-stringer and long shot to make the team to showing well in games and contending for the starting job even if Hicks had returned. 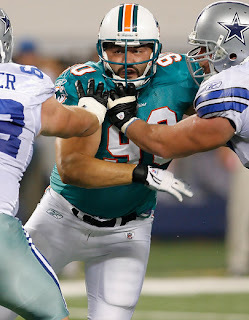 However, there were reports Tueday the team had reached out to veteran free agent Jake Scott. A highly-effective starter with the Titans over the past few years (as well as my No. 4 guard of the offseason), Scott fits the Dolphins' zone-blocking scheme better than Jerry while offering a better track record as well. 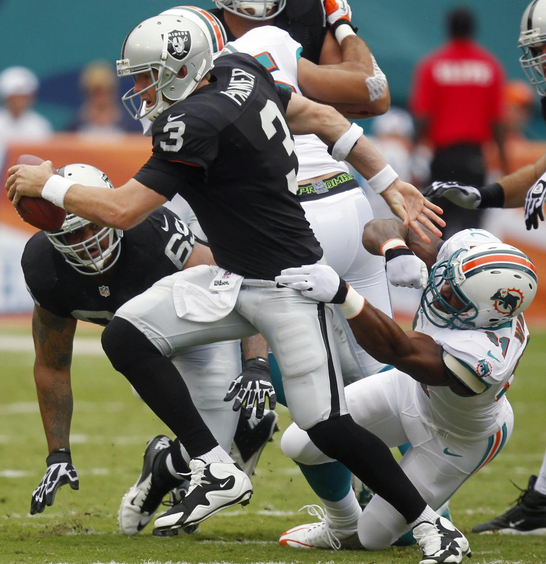 The 31-year-old has worked out for the Dolphins twice this offseason but has remained unsigned. The Dolphins have a spot remaining open on the active roster with Tuesday's release of quarterback David Garrard. The team opens the regular season this Sunday at Houston on Sept. 9. The Miami Dolphins cut 22 players from the roster yesterday to get down to a total of 53, but everyone knew the roster would undergo further changes once the team had its shot at players exposed to waivers. 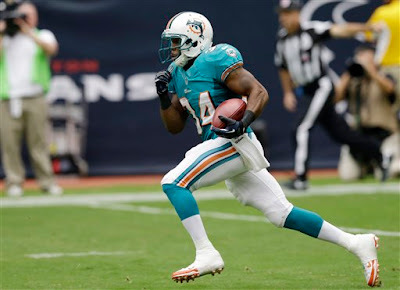 The Dolphins announced the acquisition of four players off waivers Saturday—most notablly wide receiver Anthony Armstrong, who spent the 2008 season on the team's practice squad. As you probably know, Armstrong went on to establish himself as a capable deep threat with the Washington Redskins in 2010, though injuries and a numbers crunch saw him waived during Friday's cuts. In addition to Armstrong, the Dolphins also landed undrafted rookie linebacker Sammy Brown from the Rams, safety Troy Nolan from the Texans and cornerback R. J. Stanford from the Panthers off waivers. To make room for the four new faces, the team terminated the contracts of safety Tyrone Culver and running back Steve Slaton while waiving linebackers Jonathan Freeny and Josh Kaddu. Slaton was rumored to be headed to the Redskins in a trade for Armstrong yesterday, although that deal never materialized. The Dolphins are back to 53 players after today's moves and should be formulating their practice squad today and tomorrow from their own cuts and perhaps a few from other teams. Rookie offensive tackle Andrew McDonald has already confirmed he is returning to the practice squad via Twitter. 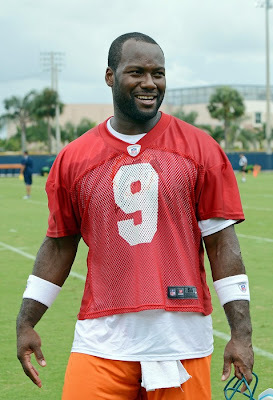 Armstrong initially signed with the Dolphins in July 2008 and spent the entire season on the team's practice squad. He attended training camp with the team in 2009 before being waived during final cuts. He spent most of the regular season on the Redskins' practice squad. In 2010, Armstrong not only made the Redskins' roster but emerged as their best deep threat, catching 44 passes for 871 yards (a 19.8-yard average) and three touchdowns. He started just two of 14 contests last season, however, catching seven passes for 103 yards and two scores. A shoulder injury limited Armstrong during training camp in 2012 and was waived despite the Redskins despite the fact that the team kept seven other receivers. The 29-year-old is officially listed at 5-foot-11 and 179 pounds and is due $540,000 in 2012 before hitting restricted free agency in the offseason. Brown played basketball only as a high school junior before hitting the gridiron as a senior. He attended Mississippi Gulf Coast Community College for two seasons before transferring to the University of Houston in 2010. Starting 11 of 12 games played as a junior, Brown made an immediate impact for the Cougars as a pass-rushing outside linebacker in their 3-4 scheme, racking up 76 tackles (20 for a loss), 7.5 sacks and two forced fumbles. As a senior, he racked up an incredible 93 tackles (30 for a loss), 13.5 sacks and three forced fumbles. Despite his impressive collegiate production, the 6-foot-2, 242-pound Brown was projected as a Day 3 draft pick and ended up going undrafted due in part to concerns about his motor and effort. He signed with the Rams as an undrafted free agent and recorded two tackles in four preseason appearances. After two seasons as College of the Canyons, Nolan transferred to Arizona State in 2007. He started 25 games in his two-year career and served as team captain as a senior in 2008, racking up 128 tackles, 10 interceptions and 13 pass deflections. He scored an incredible five defensive touchdowns, including four interception returns and a fumble return. 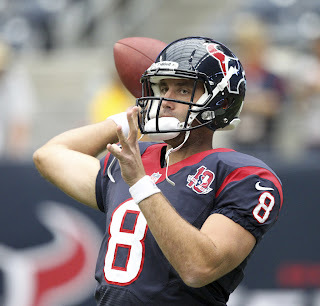 A seventh-round pick by the Texans in 2009, Nolan suffered a wrist injury in the preseason and spent his entire rookie season on injured reserve. 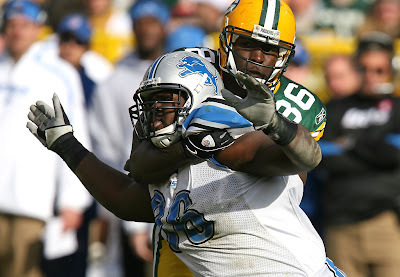 He appeared in a 16 games (three starts) in 2010, totaling 49 tackles, three interceptions and five pass deflections. Last year, he played in 14 games (three starts) and racked up 35 tackles and four pass deflections. Nolan, who is entering the final year of his rookie contract, is due $540,000 after taking a pay cut from $1.308 with the Texans this offseason. He will be an unrestricted free agent if he gains a fourth accrued season (six or more games on the active roster) with the Dolphins. A California native, Stanford played in 52 games over four seasons at the University of Utah, including 22 starts. A three-year teammate of current Dolphins cornerback Sean Smith, Stanford finished his collegiate career with 125 tackles, four sacks, an interception, 12 passes deflections and three fumble recoveries. 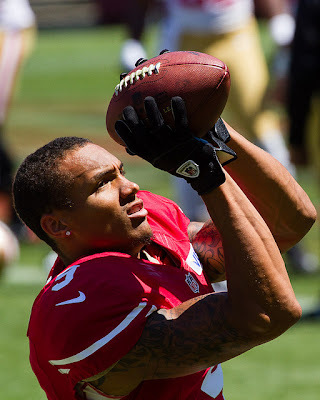 Stanford was selected 223rd overall in the seventh round of the 2010 NFL Draft by the Panthers. He spent the first 14 weeks of his rookie season on the team's practice squad before moving up to the active roster for the final three weeks. Last season, Stanford worked primarily on special teams in 13 appearances (no starts), recording 13 tackles, an interception returned 53 yards and a pass deflection. He is set to make $540,000 in 2012 and will be an exclusive-rights free agent in the offseason. First on the players released: fifth-round linebacker Kaddu joins sixth-round wide receiver B. J. Cunningham as the two Dolphins' 2012 draft picks to not make the roster. 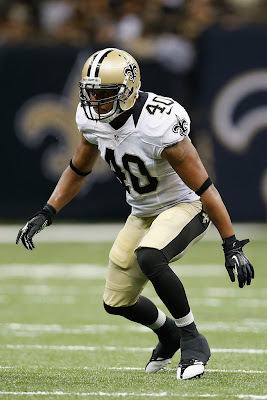 (Cunningham was claimed off waivers by the Eagles.) Kaddu is an athletics but raw specimen that would likely find his way back to the practice squad if he clears waivers. It's hard to imagine two outside linebackers on the Dolphins' practice squad, so Freeny might only be asked back if Kaddu gets poached by another team. It's no surprise to see the veterans Slaton and Culver go, either. Slaton is certainly expendable given the Dolphins' deep running back position and he loses a roster spot to Marcus Thigpen, who can also play slot receiver and appears to be the team's return specialist. Culver was the senior member of the safety unit, but 29-year-old had peaked and gives way to a younger prospect in Nolan. Of the Dolphins' new additions, Armstrong is obviously the biggest name and is one fans should be familiar with from his time in Miami in 2008-09. He's not going to solve the Dolphins' receiver woes, but he does add a vertical dimension the Dolphins lack and his single-season total of 871 yards in 2010 is a better mark than any receiver on the roster has ever accomplished. I suspect he'll work into four-man sets right away with room to move up. It's telling that the Dolphins would rather put Brown on the 53-man roster than their own fifth-round linebacker at this point. Brown had a stellar collegiate career and can certainly get to the passer, so perhaps they are hoping to find a breakout player. That being said, Brown won't see the field on defense barring a stellar showing in practice and at most is ticketed for special teams in the near future. Stanford and Nolan add depth to a shaky secondary that was left extra thin following final cuts with only three corners under contract. Stanford steps in as the fourth corner, although he's no guarantee to stick around long-term after the Dolphins worked out a handful of veteran corners on Thursday. Veterans see their salaries guaranteed if they are on the Week 1 roster, so the team could way until after the Texans game to sign one and that could put Stanford's spot in jeopardy. Nolan was a media favorite in Houston and has some experience on defense, making him a solid fill-in if Chris Clemons were to go down. It seems unlikely he ever becomes a highly-productive starter, but at worst he should be a special teams ace and top backup on defense. The Dolphins likely aren't finished making moves before their Sept. 9 season opener. In particular, the team is sure to move at least one of their four quarterbacks and Matt Moore is apparently on the trade block. 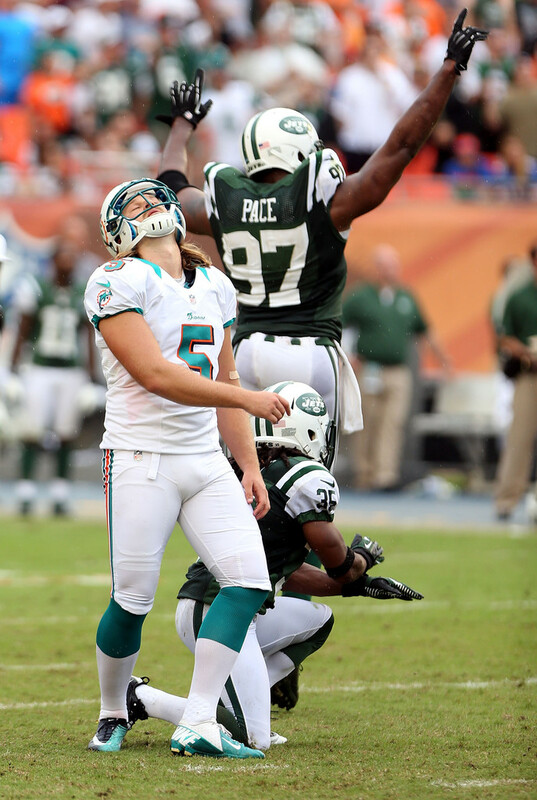 Stay tuned all this week for coverage and analysis of all the Dolphins' moves leading up to the regular season!